Lessons from San Francisco: A Trip to Landis Communications Inc. Educate them. A PR professional should never assume a client knows what they want or the best way to achieve it – that’s what they’re paying us for, right? But it actually goes further than that. Because we develop launch plans and pitch media and create traditional & digital campaigns every day, it can be easy to forget that clients are experts in their fields, not ours. When they say press release, they may actually mean internal newsletter for their customers. When they agree that they should be positioned as thought leaders, they may not realize that means attaching their names to bylined columns and doing media interviews. It’s no one’s fault, but it’s our job to explain our tactics to clients and set clear goals so we’re all on the same page. Educate yourself. 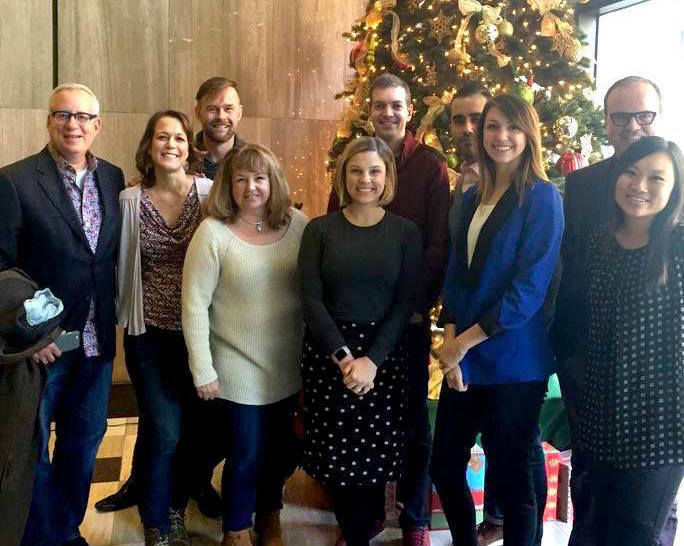 The Landis Communications team places a huge emphasis on staying “plugged in.” That means staying on top of PR industry trends and their clients’ industry trends. One way they’re doing this is by attaching a sticky note to every magazine that comes in their door with a place for each team member to sign off once they’ve read through it. This goes for everything from San Francisco’s newest high-end glossy mags to the latest edition of AARP. We have a similar set-up at RPR minus the sticky note (we might have to steal that one from you, LCI) and we’ve recently adopted Ted Talk Tuesdays, where each month a team member shares a Ted Talk and we meet to discuss how it can help us grow both inside and outside of PR. It’s an easy way to stay in tune with how industries and our team members are evolving. Don’t be afraid to push back. At RPR, we’re far from Yes Men (or Women?). But it was nice to hear from another agency that sometimes pushback is necessary to keep a client on track and help them reach their goals. We’re not advocating forcing a program onto a client or pushing them too far out of their comfort zone, but making firm recommendations for when and how an announcement should be made, which events will have the most impact and which tactics we think make the most sense is essential for both the PR team and the client. Overall, it was an amazing trip that left me with a greater appreciation for the small PR agency environment. Once I got back to Nashville, I learned that Landis was given the ACE Award for America’s #1 ‪#‎PR agency (small) from Ragan Communications and PR Daily. So congratulations to Landis and thank you for letting me see a small part of what you all do each day!